As I am writing this, the Middle East is in turmoil. It is simply impossible to have a clear view of all that is occurring and what the short term and long term implications are. Civil war in some of the nations, a disruption in the flow of oil from this region, higher energy costs, the growth or the demise of radical Islam are all potential results, but no one really knows. It is simply too early. There are nonetheless a few items of importance that we can discern. First is Israel. No matter what the long term impact of the governmental changes in Egypt, Tunisia and more than likely several other key nations, there will be a change coming for Israel. The popular uprisings in Egypt, Tunisia, Libya, Bahrain, etc. are not about Palestinian rights or even the creation of a Palestinian state. Nor are they about Israel! 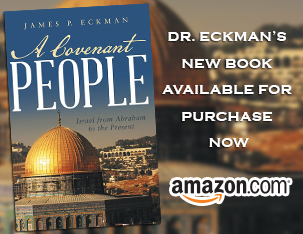 But it is imperative to remember something: The various peace treaties between Israel and some of her neighbors, principally Egypt and Jordan, were made between leaders, not peoples. This had little consequence when the people of Egypt, Jordan or the other Arab nations had no voice in governing their respective nations. That gives every indication of changing?and changing quite profoundly! Once things settle down and more democratic governments emerge in which the Arab populations have more of a say, it is easy to envision an even more isolated Israel in the Middle East. And, because the United States is the only friend Israel truly has, America will be more isolated. Furthermore, with the growing power and influence of Iran, it is difficult to be optimistic about the stability of this region when it comes to Arab-Israeli tensions. Second, what will be the role of Islam in this new order emerging in the Middle East? At this point, we do not know. Popular sovereignty, the empowerment of people and an opportunity to effect economic change for their personal lives seem to be the key motivating factors feeding the uprisings in the Middle East. But, these uprisings throughout the region are not entirely secular. Stephen Prothero, religion professor at Boston University, argues that ?The religions of democracy now shaking the Muslim world will likely be allied with Islam at least as much as American civil religion is allied with Judaism and Christianity?close enough to reassure citizens that their nation?s projects conform to the will of God yet far enough to convince citizens that they are not replacing submission to a dictator with submission to a clerical cabal.? From my vantage point, I find it very difficult to believe that the middle class young people in these nations, energized by Twitter and Facebook, will accept a government run by radical Islamic clerics, similar to those that govern Iran. Will the people of Egypt, Tunisia, Libya, Bahrain, etc. be open to seeing their ruthless dictators replaced by Muslim radical clerics who seek to impose rigid Shariah law on them? It is difficult to believe that they would accept this. But the nature of the new governments and the role that Islam will play in these new governments is impossible to determine. Prothero makes an acute observation: ? [America has] spent trillions of dollars and spilled untold blood in a seemingly endless effort to bring democracy, American style, to Iraq and Afghanistan. Yet Egyptians?citizens with more people than Iraq and Afghanistan combined?won the right to write their own future in just 18 days and with little to no US help. These facts alone should humble us.? Finally, in Egypt especially, Muslims and Christians united together in the protests against Mubarak. Both helped bring him down. But will the new government promote democracy and religious liberty? Will Christianity be protected in the new order sweeping the Middle East? Under Saddam Hussein, Christians enjoyed protection and somewhat flourished. But under the new government of Iraq, the opposite has occurred. Today, there are fewer Christians in Iraq than when Saddam ruled. Recently in Egypt, Islamists killed and persecuted Christians within Egypt. Christians comprise 10% of the population but they have known recently a good bit of oppression and discrimination. If there is no religious liberty in this new order, persecution will no doubt increase. One of my greatest concerns is that the new order emerging within the Middle East will be more intensely anti-Israel, more vehemently anti-Christian and thereby also increasingly and intensely more anti-American. See World (26 February 2011), pp. 34-38, 43-45; Stephen Prothero in USA Today (21 February 2011); and The Economist (12 February 2011), p. 40. Log in | 33 queries. 0.067 seconds.